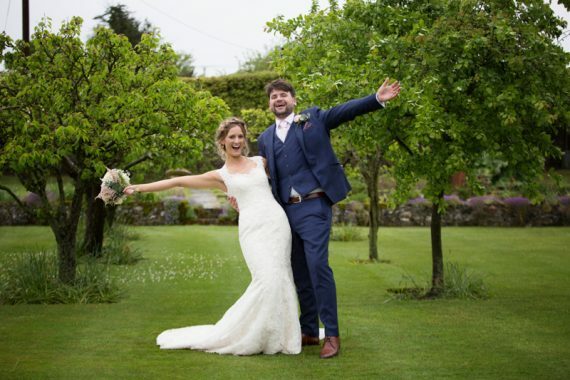 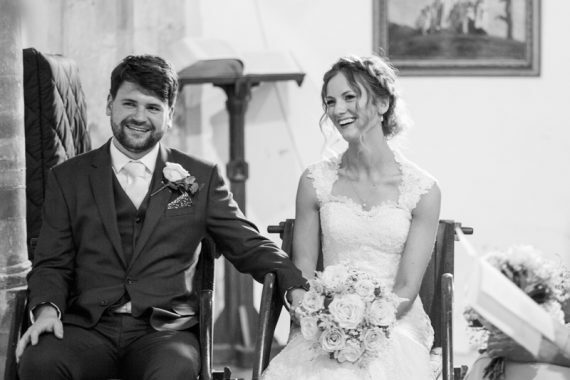 Bryony and Robin were married at St Michael’s Church in Blewbury, Oxfordshire. 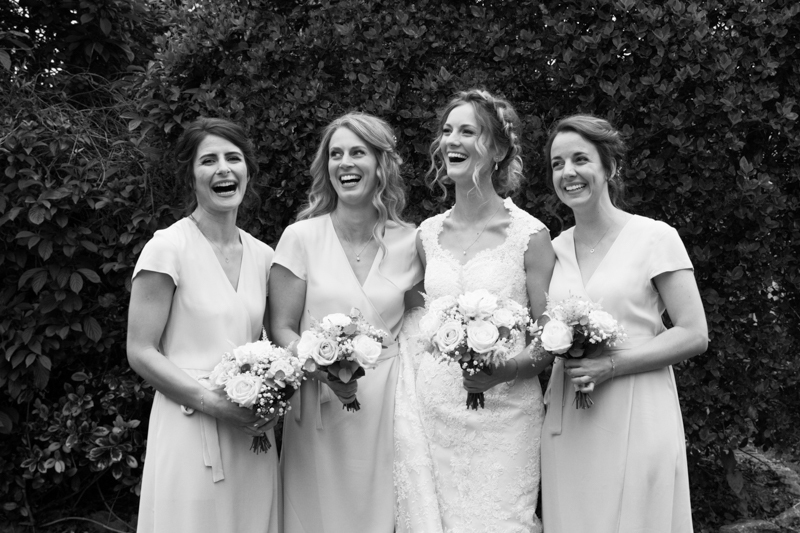 Afterwards they entertained their guests at teepee wedding in the Stonor Valley near Henley on Thames. On the wedding morning, I joined Bryony at her Mum’s house in the picturesque village of Blewbury in Oxfordshire. 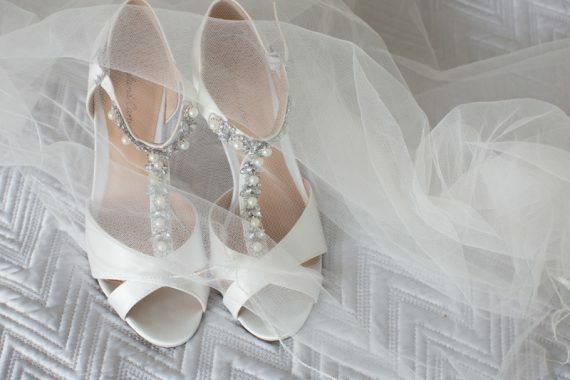 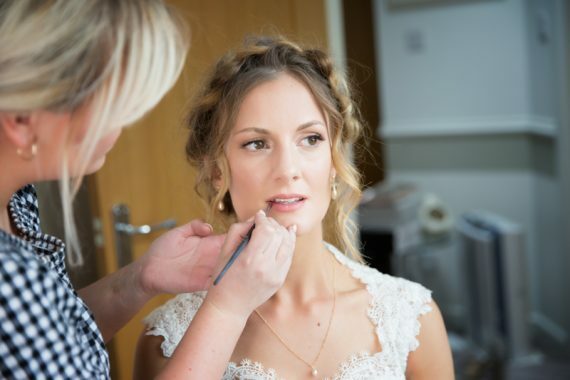 It was an extremely calm and organised bridal prep and no last minute drama. 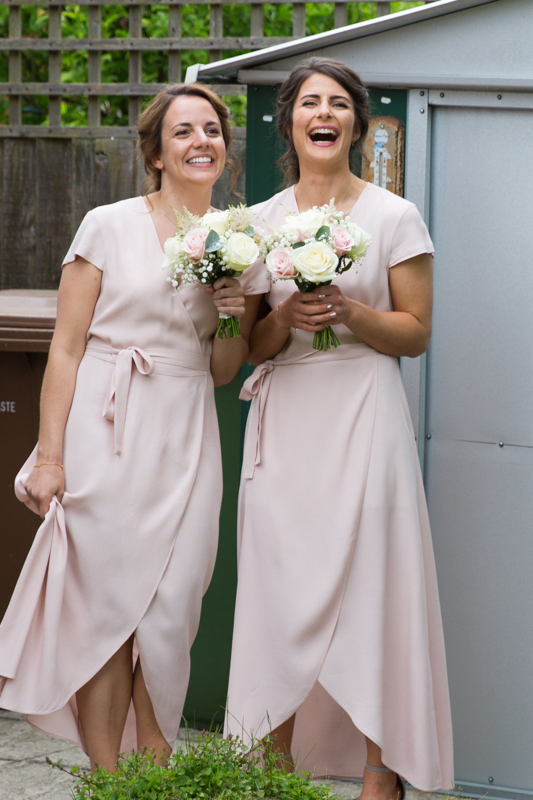 Therefore giving me plenty time to capture some pictures of Bryony and her bridesmaids in the garden before the ceremony. 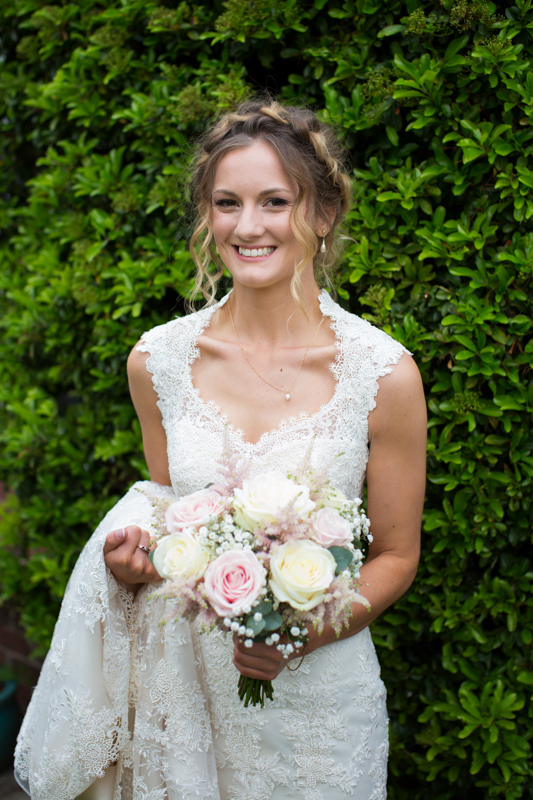 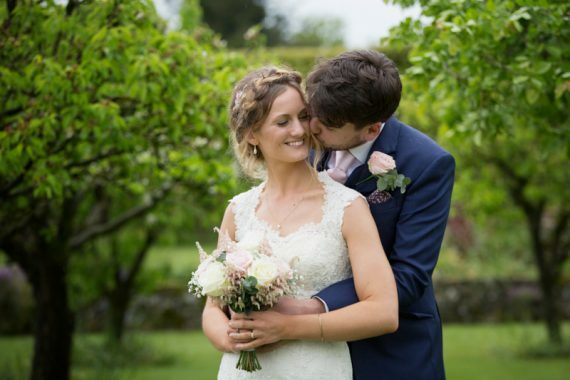 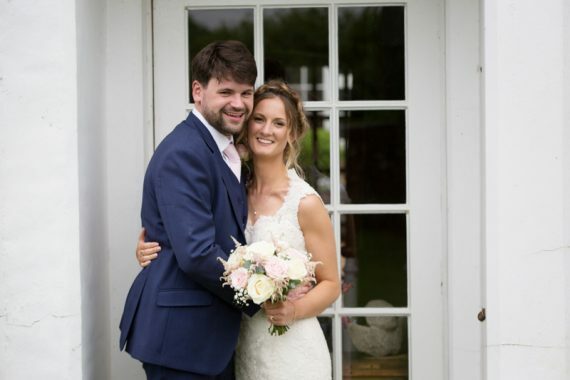 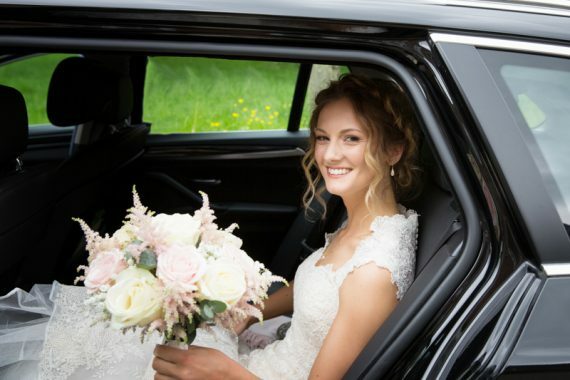 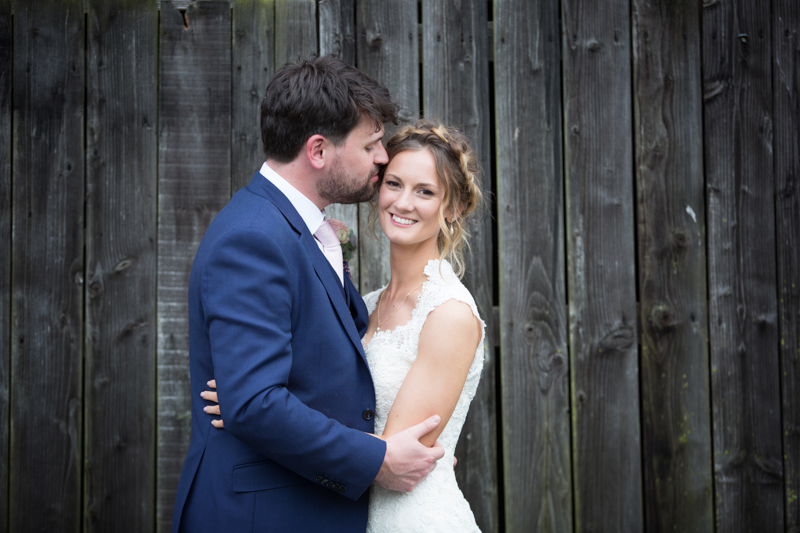 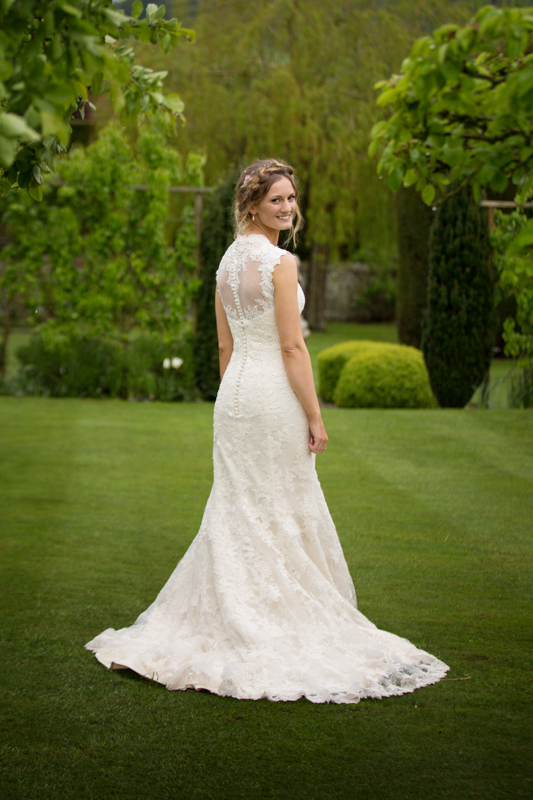 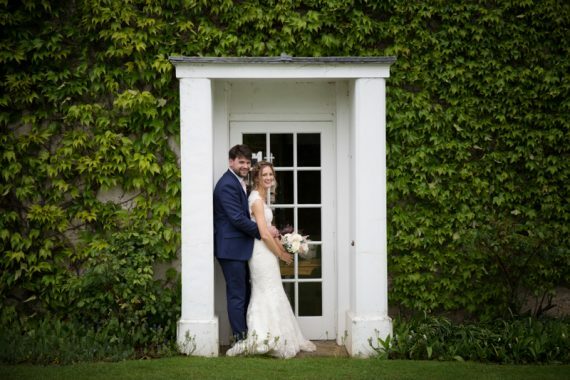 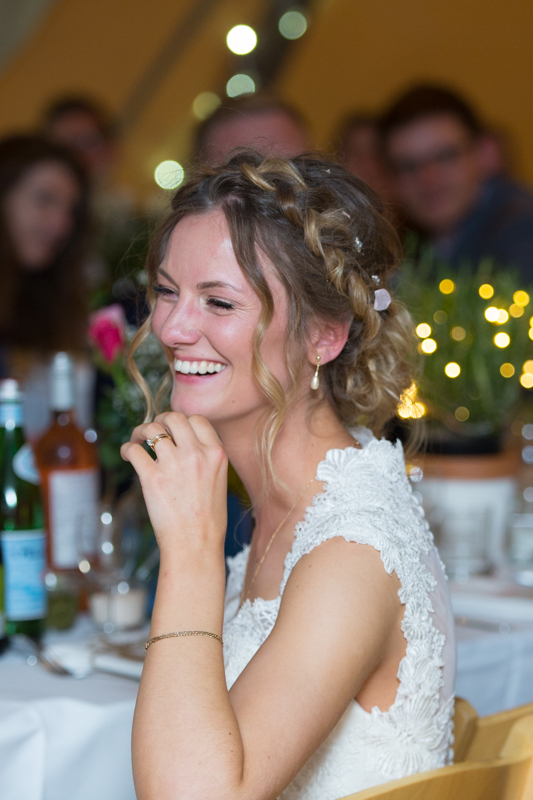 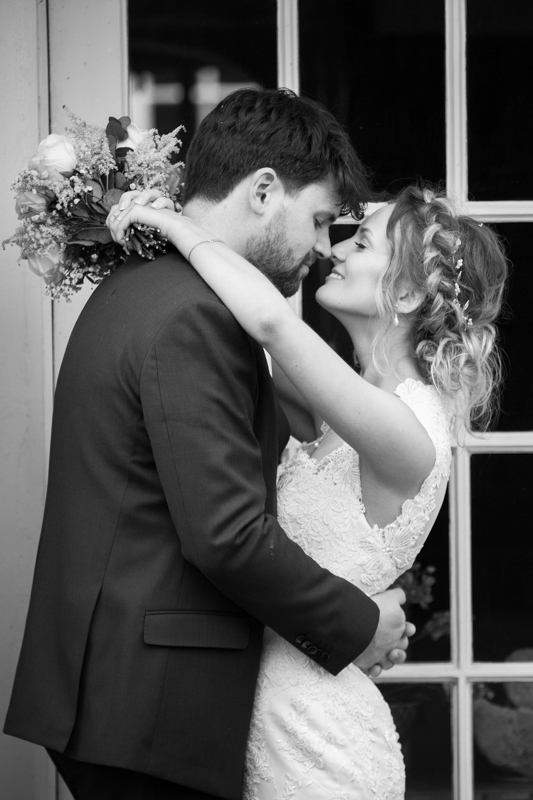 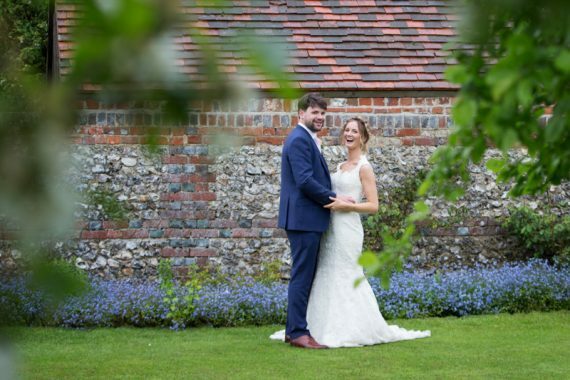 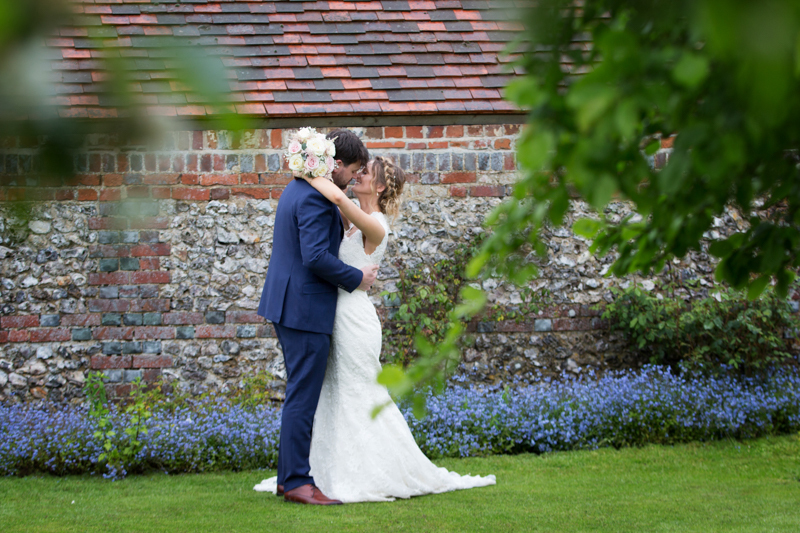 Bryony was a stunning bride and her hair and make up by Rachael of Oxfordshire Bridal Hair was beautiful. 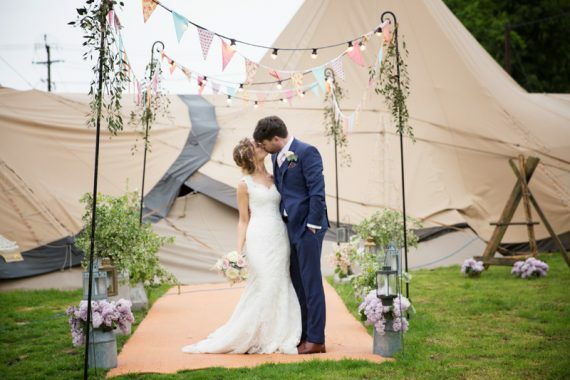 Her finished look suitably fitting the boho theme of their teepee wedding. St Michael’s Church was a short walk away and is a beautiful old church. 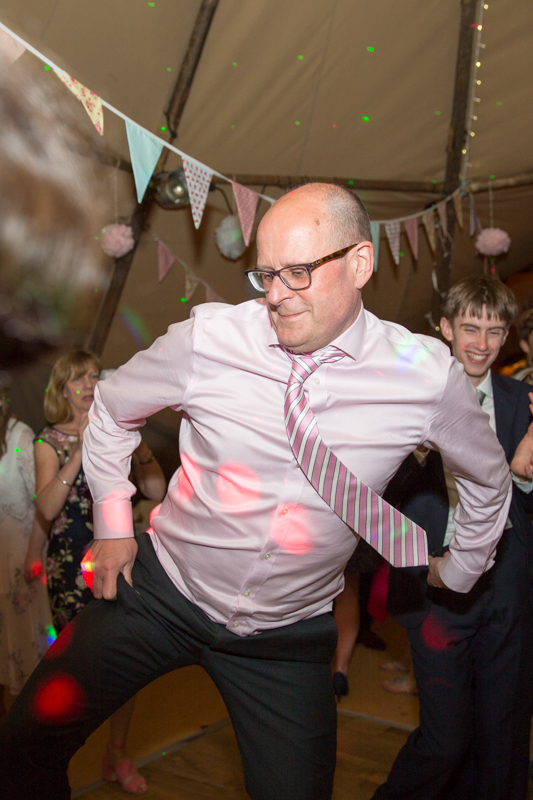 Incidentally, parts of the church date back to Norman times. 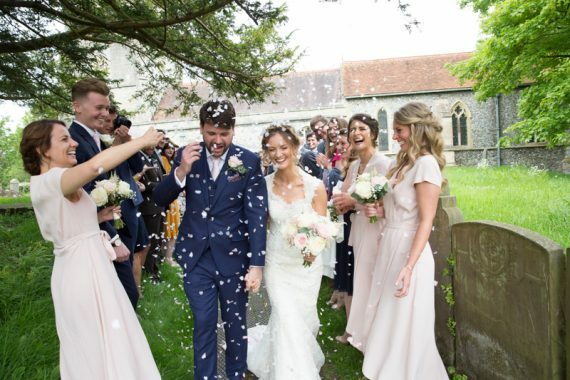 After the ceremony, we created a long confetti alley and I managed to walk backwards without falling. 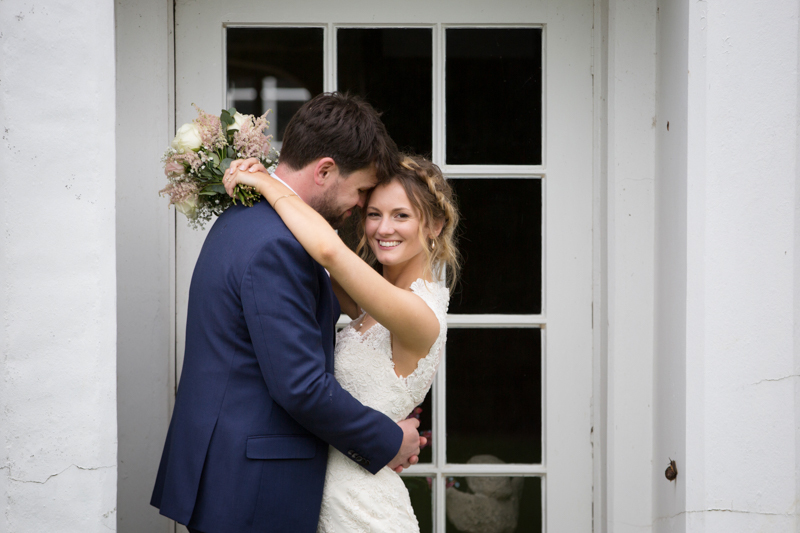 Confetti is one of my favourite parts of the day for pure, natural and happy images. 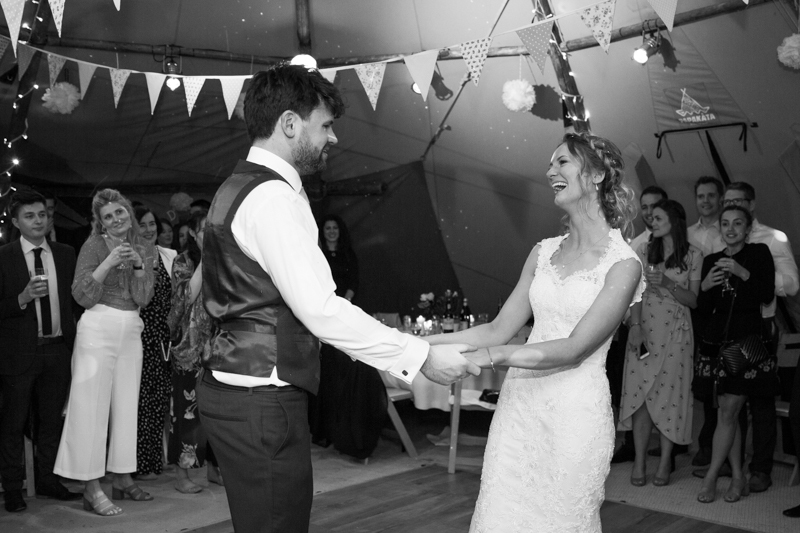 We planned to head straight for the teepee wedding reception after the ceremony to do all the bride and groom photographs. Robin and Bryony left the church with traditional cans trailing and rattling behind their car. 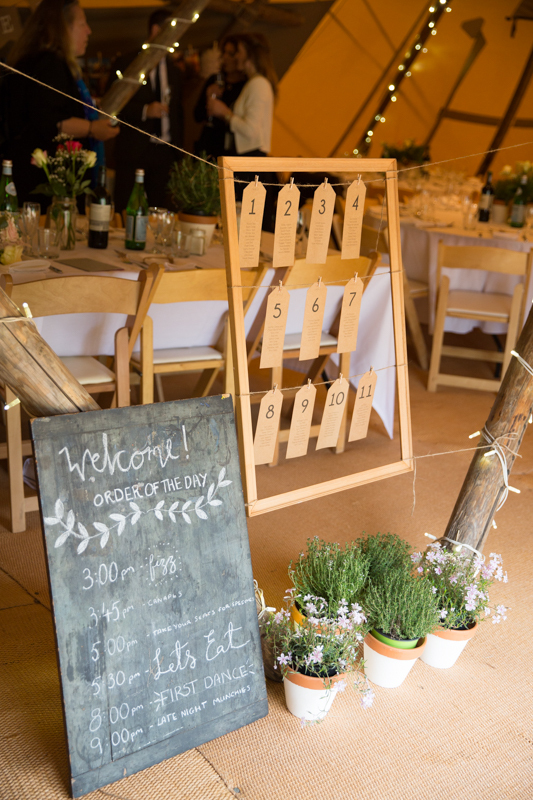 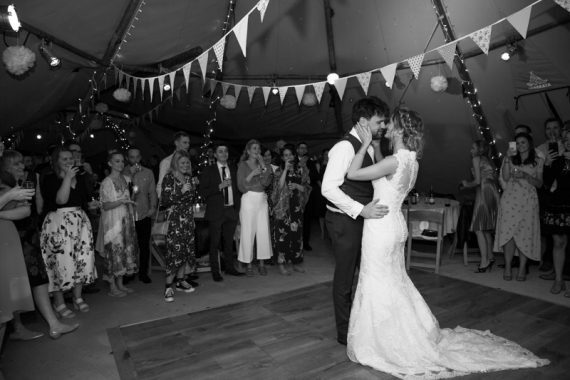 The teepee wedding reception was held in a field at White Pond Farm in the beautiful Stonor valley just a short drive from Henley. The weather forecast had been good with a chance of a short shower but no one could have predicted the weather we had. 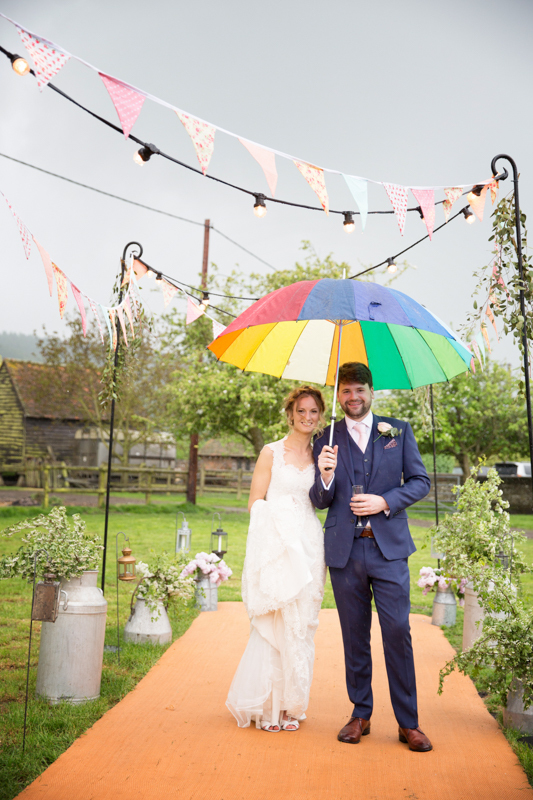 The heavens just opened and it rained heavily most of the day. 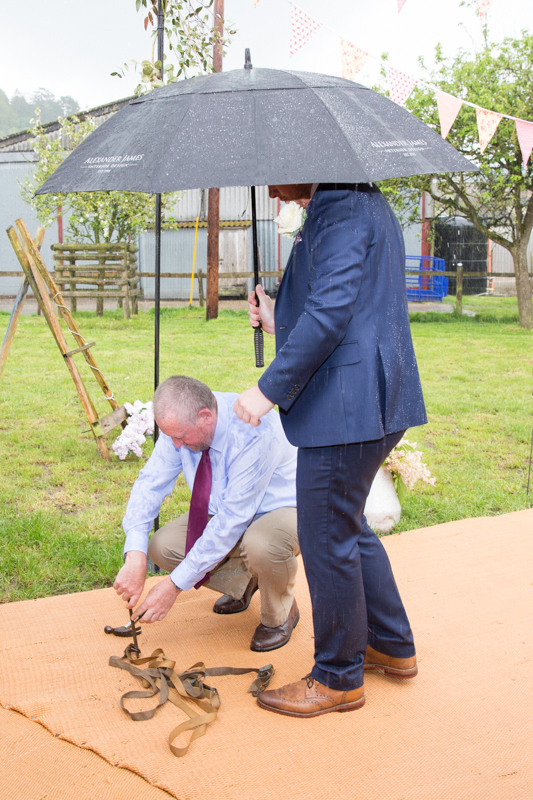 Unfortunately, we have no control of the weather and sometimes things don’t go to plan. 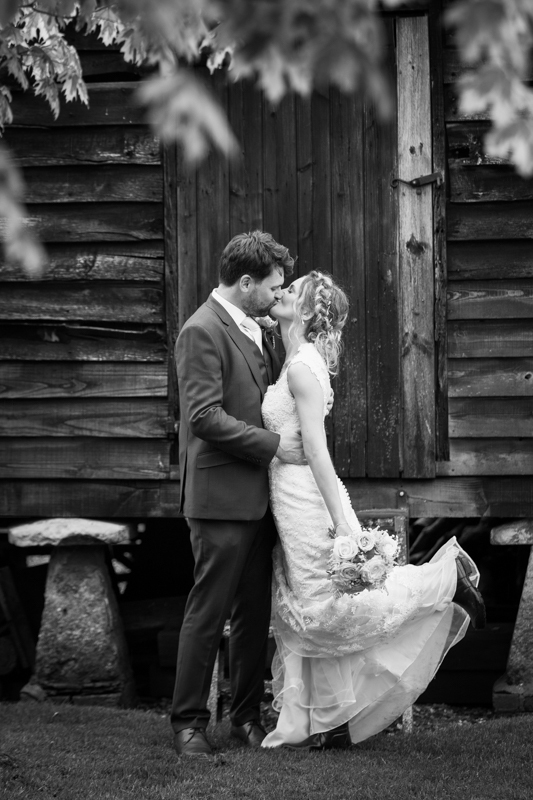 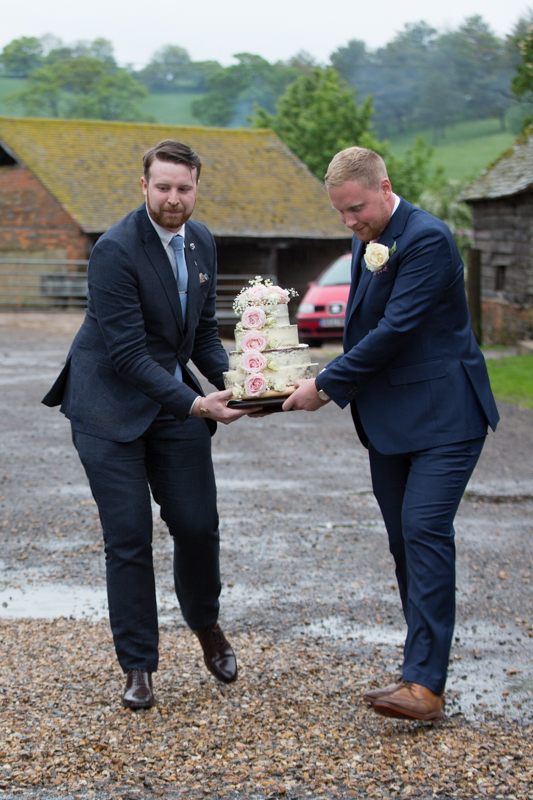 I always tell Brides and Grooms to just embrace it and enjoy their day. 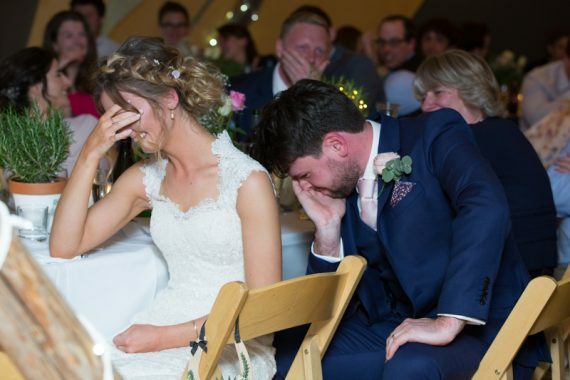 We certainly had some memorable moments throughout the wedding. 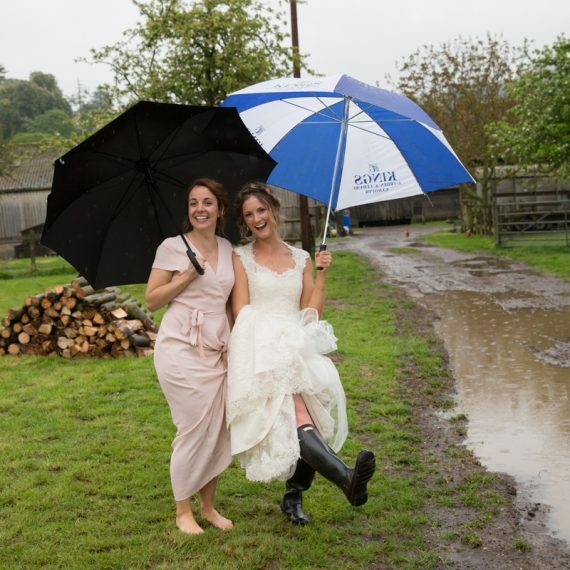 Bryony in her welly boots and a bridesmaid running barefoot through the muddy path. 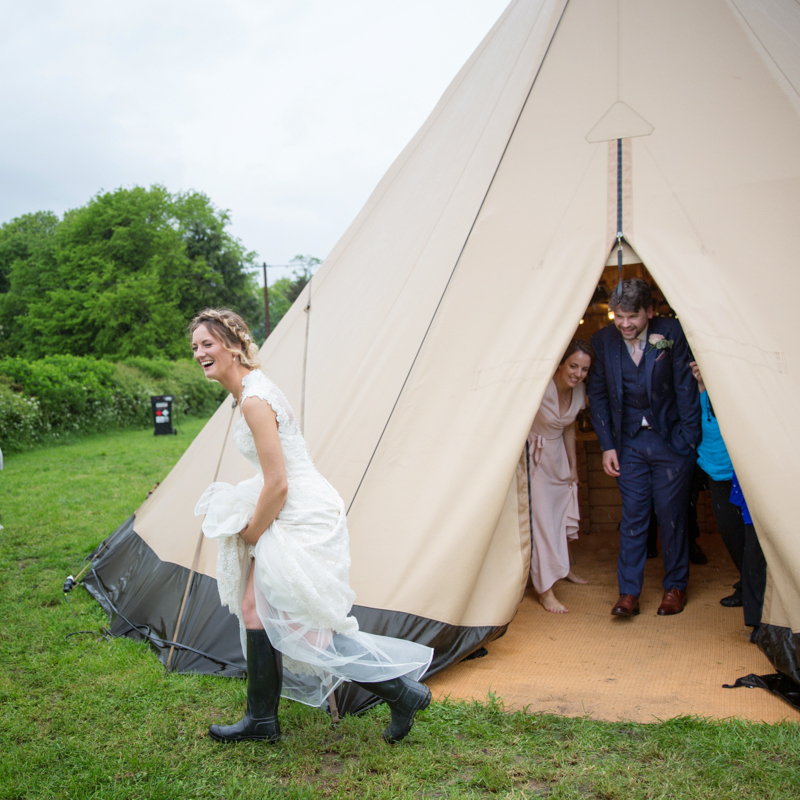 Unforgettably, Bryony’s Dad looking very wet trying to secure the door of the teepee when the downpour started. 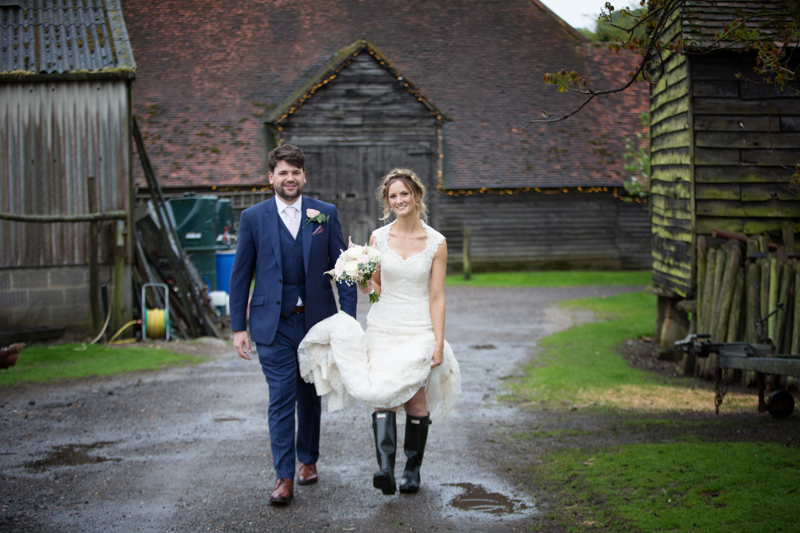 Just before dessert, the rain finally stopped for a brief ten minutes. 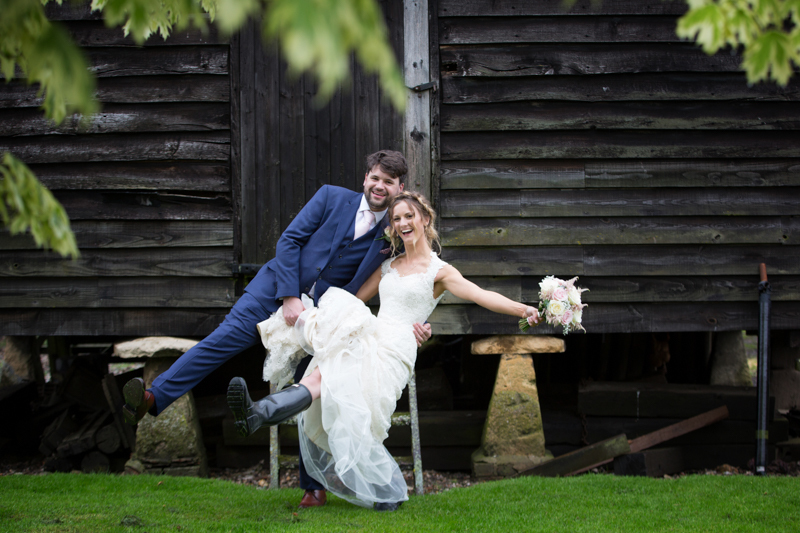 I seized the opportunity to take Bryony and Robin around the farm for their photographs. 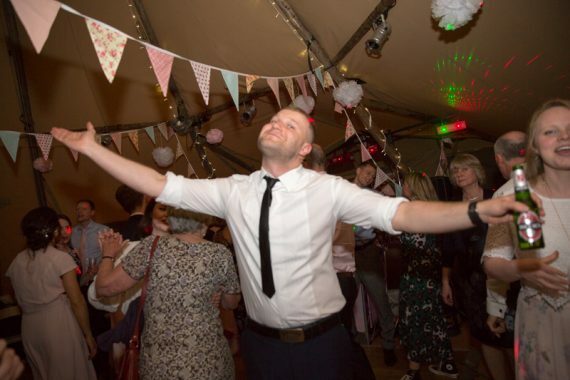 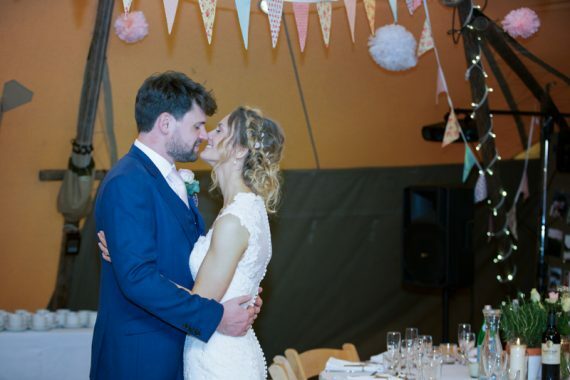 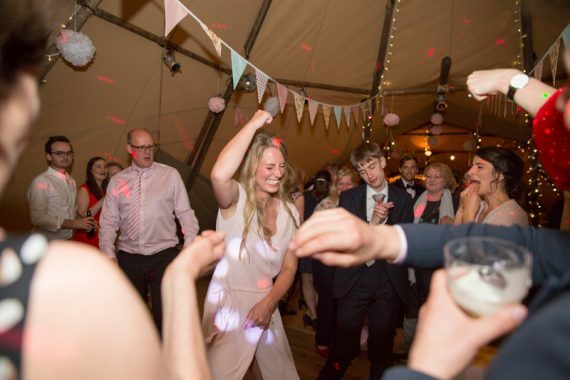 If you are planning a relaxed teepee wedding reception in Oxfordshire, Berkshire or Bucks, please get in touch and I will be happy to have chat about your plans.